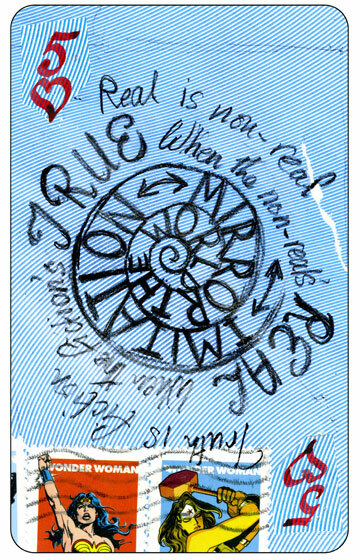 Please always check Fact and Opinion because it’s back-up for my Playing Cards. The hearts in the Playing Cards are all about culture; if we had culture instead of consumption we would not be in this mess. 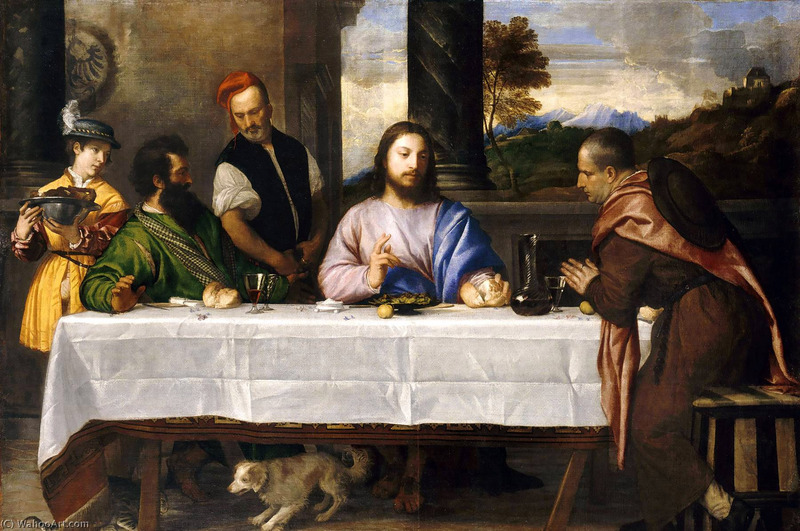 Supper at Emmaus: I saw this for the first time at the RA King and Collector exhibition. I think it belongs to the Queen, and if you ever get the chance to see it, there is nothing more real than this painting. Jesus knows he’s the son of God, and Titian also believes it. In order to cope with the fact that the world is bankrupt, government policy is smashing up social services and communities. I grew up in a village in the countryside and the church was a focus, and I’m really glad to have had that experience. In the West, people knew the bible stories, there’s no greater subject of human drama than the story of Jesus. The Greek Gods were the other subject. Supper at Emmaus is the story of the time. Christian’s believe, that when after death the spirit rises to heaven, there is a short period before the body rises. During this period, Jesus met two travellers on the road to Emmaus, they invited him to eat and they only realised who he was when at the table he broke the bread. He’s just undergone this terrible ordeal to save human souls, and to me, the look of kindly resignation on his face, means that he’s done his best. Also, is the knowledge that he’s the son of God, and that’s what Titian believes too. I don’t believe how Titian could have done that – the quietness in the expression. Another detail: the idea of a table placed horizontally, covered with a white cloth is familiar especially because of the last supper, when he broke the bread. To me, it’s incredible that Titian decided to paint the damask version of the table cloth, a white on white design, in its repetitive detail – except it’s not repetitive, because every leaf catches the light in a different way. It’s perfect, because this man is talented and skilled – nothing like it.